I have updated the Cerebrovascular Physiology Links. You will now see a link to the lab of Dr Hélène Girouard from Université de Montréal. Her research interests are related to cerebrovascular pharmacology, neurovascular coupling and interactions between astrocytes and blood vessels. In addition, I have added a new section entitled “Theses”, where you will find MSc/PhD theses discussing cerebrovacular physiology related issues. If you would like to have your thesis added to this new section, just let me know ! 472- Migraine and cerebral blood flow in the general population – Loehrer et al. 473- Influence of nocturnal and daytime sleep on initial orthostatic hypotension – Lewis et al. 474- Rapid pressure-to-flow dynamics of cerebral autoregulation induced by instantaneous changes of arterial CO2 – Liu et al. 475- Relationship Between Cerebral Blood Flow and Blood Pressure in Long-Term Heart Transplant Recipients – Smirl et al. 476- Cerebral autoregulation is minimally influenced by the superior cervical ganglion in two- week-old lambs, and absent in preterm lambs immediately following delivery – Czynski et al. 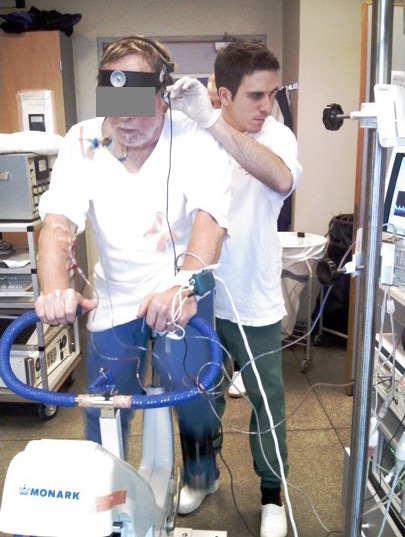 477- Effects of interval training on cognitive functioning and cerebral oxygenation in obese patients: A pilot study – Drigny et al. 478- Improved cerebral oxygenation response and executive performance as a function of cardiorespiratory fitness in older women: a fNIRS study – Albinet et al. 479- Effect of pulsatile and nonpulsatile flow on cerebral perfusion in patients with left ventricular assist devices – Cornwell et al. 480- Cerebral perfusion in insulin resistance and type 2 diabetes – Rusinek et al. 481- Dietary nitrate facilitates an acetazolamide-induced increase in cerebral blood flow during visual stimulation – Aamand et al. 482- Factors affecting the determination of cerebrovascular reactivity – Regan et al. 462- Impact of hypocapnia and cerebral perfusion on orthostatic tolerance – Lewis et al. 463- Phenylephrine Alteration of Cerebral Blood Flow During Orthostasis; Effect on N-Back Performance in Chronic Fatigue Syndrome – Medow et al. 465- Dynamic cerebral autoregulation after bed rest: effects of volume loading and exercise countermeasures – Jeong et al. 467- Arterial pressure above the upper cerebral autoregulation limit during cardiopulmonary bypass is associated with postoperative delirium – Hori et al. 468- Shoulder Surgery in the Beach Chair Position Is Associated with Diminished Cerebral Autoregulation but No Differences in Postoperative Cognition or Brain Injury Biomarker Levels Compared with Supine Positioning: The Anesthesia Patient Safety Foundation Beach Chair Study – Laflam et al. 469- The effect of changes in cerebral blood flow on cognitive function during exercise – Ogoh et al. 470- Acute exercise stress reveals cerebrovascular benefits associated with moderate gains in cardiorespiratory fitness – Brugniaux et al. 471- Cerebrovascular regulation, exercise, and mild traumatic brain injury – Tan et al. When I received the latest issue of Physiology on my desk yesterday, I was pretty excited to read this particular review about physiological responses to acute exercise and training in different organs! Wow, there was even a section related to the brain ! And it was the first section ! Recent literature have shown consistent increases in cerebral blood flow in response to exercise (with exercise intensities up to around 60-70% maximal exercise). So please, stop perpetuating this old dogma ! Especially without any nuances ! A few weeks ago, I have posted an article alert regarding two papers published in J Appl Physiol challenging the assumption that the diameter of the middle cerebral artery remains constant in response to changes in hypo- and hypercapnia. You can now listen to a podcast where Kevin Shoemaker (Senior author on Covervale et al. paper), Jasper Verbree (First author of the second paper) and Phil Ainslie (who published an editorial related to these two manuscripts) further discuss the results of these papers. Really interesting ! I have also added a link to this podcast in the Cerebrovascular Physiology links section of the blog. Since the publication of a manuscript is usually the final step of a research project that may take months and even years to complete, I thought that it would be interesting to present “behind the scene” pictures in this new section entitled “One picture is worth a thousand words”. I will name that first picture Rigshospitalet-style. My interest for the brain started in that research lab in Copenhagen…good memories ! If you have “Behind the scene” moments you would like to share, just let me know and I will post it in this new section !